Is it time to set down those old coping strategies? Back in my twenties, I went through some intense shifts where I realized I needed set some boundaries if I were to live the life I wanted to live, if I were to retain any semblance of my true self. So I said no, a lot. No, no, no. In fact, I said “no” even when I wasn’t sure I really wanted to say no, just to practice. There was a lot of “no” going on during that time. So, bit by bit, I started letting “yes” — an authentic yes — be part of my life. And sometimes I got confused. Sometimes I’d say “yes” and realize that it was a people-pleasing yes, and then I’d get angry and go to a big NO. Sometimes I felt more of a “maybe” and I wasn’t quite sure how to handle that one. So fast-forward to my forties. I’ve had tons of practice with all this over the years, and it is so much less stressful than it was when I was first learning to say yes when I meant yes, and no when I meant no. But I’ve held onto a coping strategy: When I’m on the spot, as I was the other day, I still sometimes go for the “yes” that is less about a true yes and more about not making waves in the moment. And I realized this time around, I don’t need to do that anymore. I can let that particular coping strategy go. I developed that coping strategy at a time of my life when I thought there was something wrong with anything less than a whole-hearted “yes” or a full-on “no”. I was at a place where my thinking was often black-and-white, all-or-nothing. It didn’t feel okay to be unsure or in-between. So the way I worked with that belief was to say “yes” when I felt pressured, and retract my yes later. Which was still leaps and bounds better than how I’d used to handle things (saying yes when I meant no but believing I couldn’t say no, so going ahead with things full of resentment, reinforcing to myself the belief that I wasn’t allowed to do what I really wanted to do). There is such a range of “okay” here that I didn’t see back then. And since I’m okay with whatever my response might be, however someone else responds is okay, too. I don’t have to jump to the old coping strategy of trying to predict and head off a “negative” response. I can breathe and tell the truth, and, if they choose it, so can the person who’s asking. It’s interesting that I hadn’t even noticed I was employing a coping strategy of yore. (I love the concept of yore. Yore is a good word!) And, now that I’ve noticed it, I’m wondering what other “old strategies” I might be able to just set down? Because other, better ones, more authentic ones, have already queued up to take their place. Do you remember the Buddhist tale of the man who uses a raft to get across the river, and once he’s across, he keeps carrying the heavy raft over his head, even though he’s already across? How often do we do this in our lives? We’ve grown and changed and we’re not who we used to be — we have different needs, new strengths, more capabilities. But some little part of us still resorts to the means by which we got here. If those means continue to feel authentic and relevant, absolutely continue to use them. But if they’ve gotten a little stale, if you feel like someone else when you notice yourself employing them, ask: can I let go of this now? Can I trust in a new way? As I finish this post, I’m aware of how much this concept affects us not just individually, but collectively. We are being called upon to set down the old ways that no longer work. And we’re being truly challenged here. Are we up to the challenge? Can we give ourselves lots of compassion while we find a new way — or, if we’ve already found it, can we be steadfastly kind and patient with ourselves as we test our new wings? I’d love to hear how this works for you — do you notice yourself using coping strategies that are more about who you used to be than who you are now? 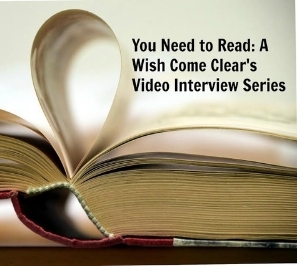 And: I had the true pleasure of talking to the wonderful writer and speaker Caroline McGraw for A Wish Come Clear’s You Need to Read video interview series. Such an honor to be part of this series — I hope you’ll take a look at the interview, and subscribe to get the whole series! Check it out, here. Plus: I heard from a few of you who’d like to get on the info list for the small group version of my Stellar Self-Care Coaching Program. I’ll be sending out info to those interested around the third week of February. If you’d like to get on the list, please contact me through the form on my Ways We Can Work Together page, here. Oh, you’ve discovered who I really am! I’ve had a hard time saying no all of my life and have been very sorry. I hear you, Joan! It’s definitely a challenge. I appreciate you reading, as always! Oh wow, can I relate to this!! I love that you noticed how your old coping strategies aren’t working for you anymore. So, I really appreciate your nonjudgmental awareness, how you’re making adjustments according to where you are now. Sort of like navigation, really – a constant, gentle course correcting. Thanks so much for your comment, and I SO enjoyed our interview. 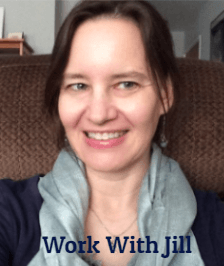 Thank you again for the opportunity to connect with you and your readers!